Join the Regional Library Systems, the State Library of Ohio, and OhioNET for Opioids in Communities, Libraries in Response—a day-long event coming to a location near you on August 6th, 7th, 8th, and 9th. 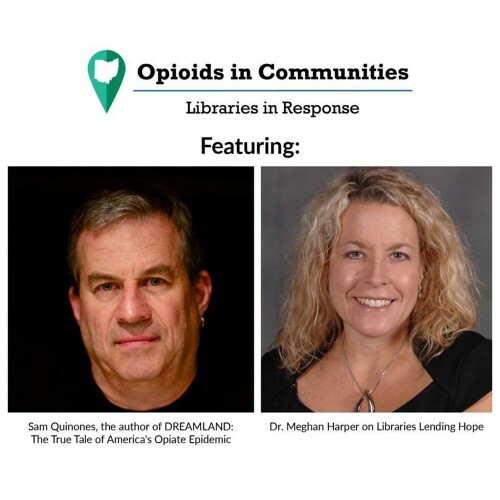 Bracketed by a keynote from author Sam Quinones and a closing presentation from Dr. Meghan Harper, we hope to provide an opportunity for education, discussion, listening, and learning centered around the opioid epidemic and the role that libraries can play in response to it. Registration is just $45, and includes breakfast and lunch. For more information, and to register, click here: https://www.ohionet.org/librariesinresponse.